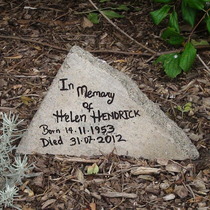 In memory of Helen Hendrick, born 14.11.1953, died 31.07.2012. This strangely monikered garden was named for Dr William Heath Strange who, in 1882, founded the Hampstead General Hospital that went on to merge with the Royal Free. The 4 trees are in the central lawn with the 3 memorials for the hospitals. 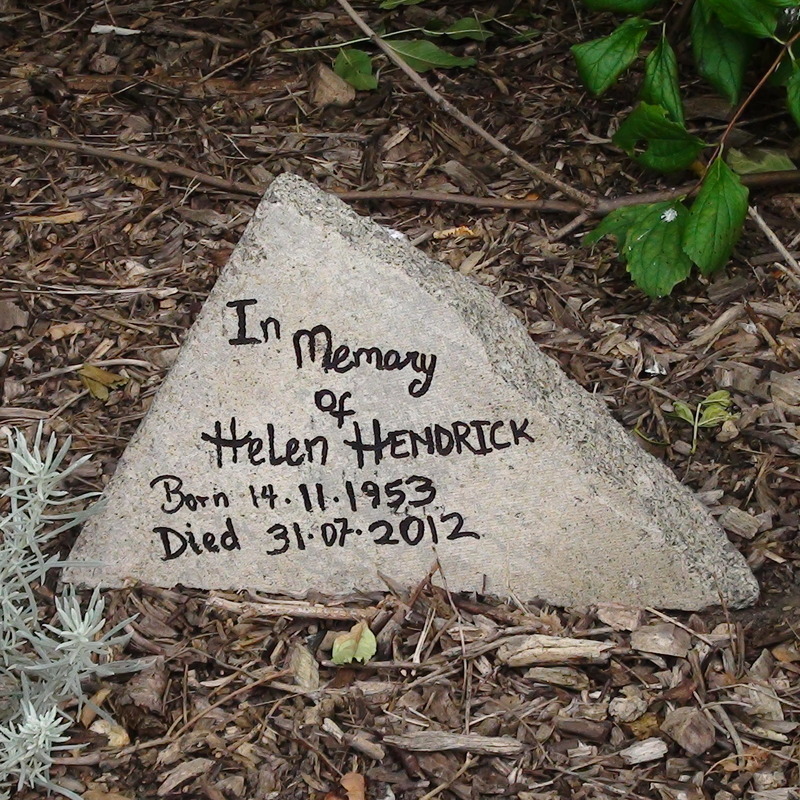 the Hendrick stone is in the flowerbed behind the camera. 2014: we read that there are plans to extend the hospital buildings onto this garden. Annette Mendelsohn, 1949 - 2008, child & adolescent psychotherapist.